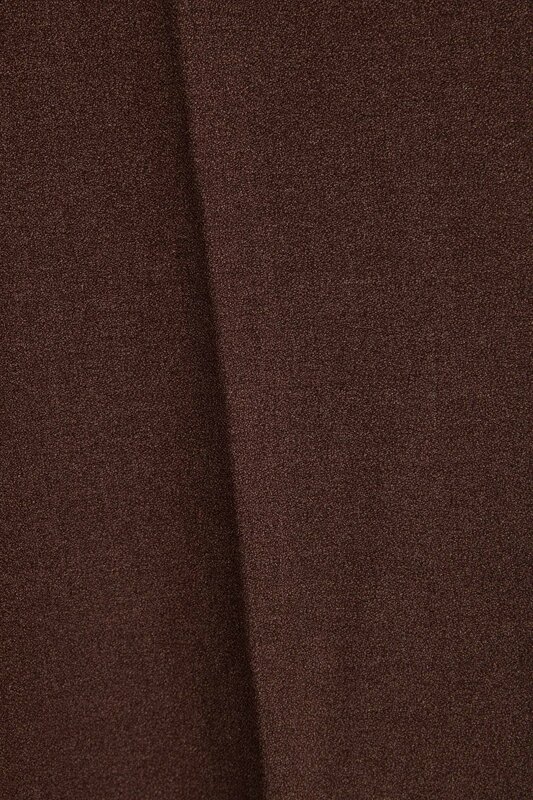 A wardrobe staple, these classic fit trousers are made in a mid-weight cotton blend fabric with a slightly textured feel. 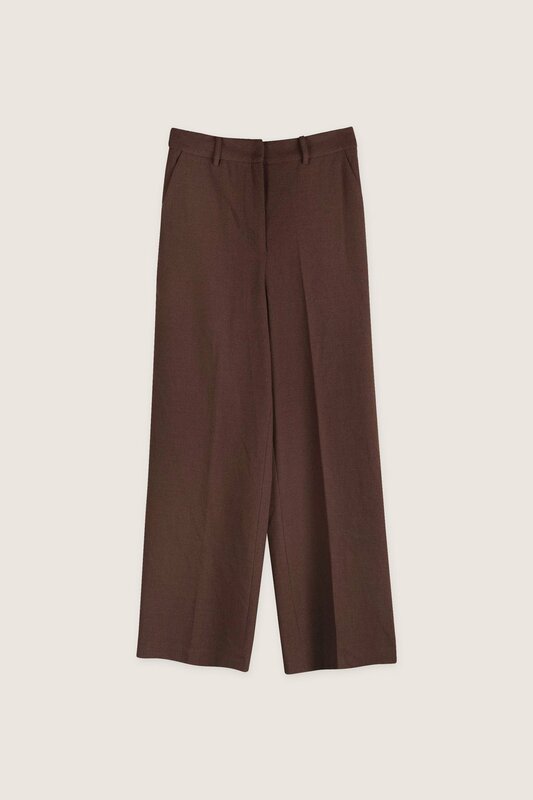 With a flattering straight-leg silhouette and a dark auburn colour, these trousers are neutral enough to easily match while giving a subtle pop of colour to your outfit. Wear these with a creamy turtleneck, hoop earrings and heels for a vintage inspired casual look.